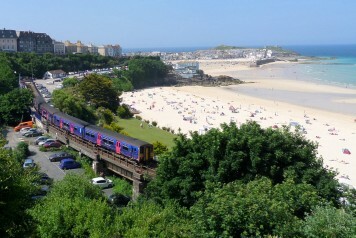 Lelant Saltings (TR26 3DL) is the current Park & Ride station for St Ives. Please note – from Saturday 1st June 2019, the Park & Ride will instead be at St Erth station (see below). 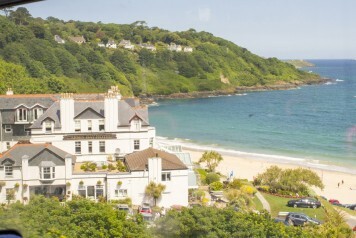 The 10-minute train journey along the coast has fantastic views (see video). Just park for £2.80, buy your train ticket and enjoy the ride. Lelant Saltings Park & Ride is easy to find (TR26 3DL – see Google Map) and has 200 spaces. It’s £2.80 to park all day. Pay by cash or mobile phone. Train tickets are available from the ticket booth (or when the booth is unattended, from the guard on the train). 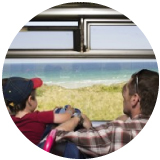 Your ticket allows you to travel the St Ives Bay Line between St Erth and St Ives as much as you like, all day long. From Monday to Saturday trains run half-hourly during the day and hourly in the evening. Reduced service on Sundays. From St Ives station it is a two-minute walk down to the popular Porthminster Beach, or an eight-minute walk into town (step-free but steep in places), signposted from the station. 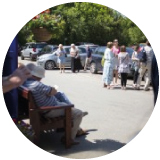 The car park is run by Cornwall Council – visit their webpage for policies on Blue Badges, motorhomes and other matters. 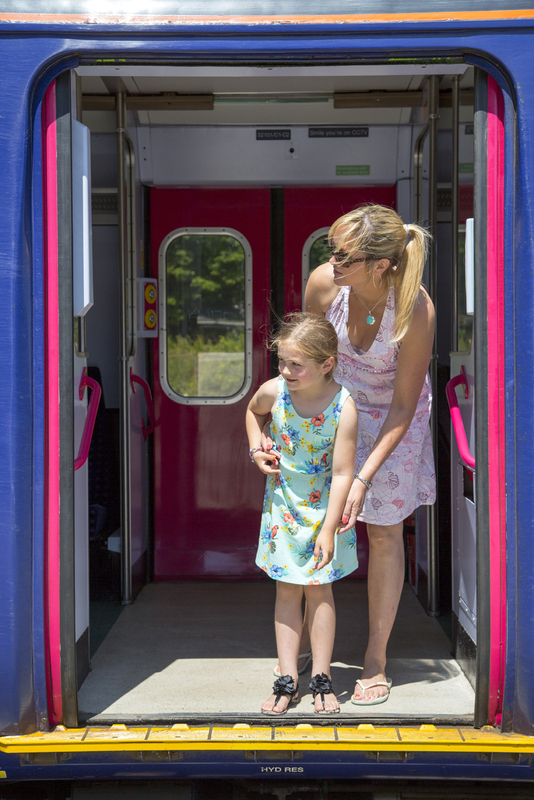 This ticket gives you the freedom to travel the St Erth to St Ives branch line as much as you like, all day long for a flat fare of £4 adult, £2 child. Groups of four adults can travel on a group ticket for £8. A Family ticket, covering two adults and up to three children (5-15) costs £10. You can take up to two dogs per person on the train, free of charge. Just bring a lead. There are 200 parking spaces at the Park and Ride. Car parking tickets must be bought from the machine. The station is staffed part-time and train tickets can be bought from the booth. If there is no-one there, tickets must be bought from the guard on the train. There is step free access at this station. Travel the line as much as you like for one day. Valid after the morning peak, and anytime weekends or Bank Holidays. (The Ranger ticket excludes the £2.80 parking cost). 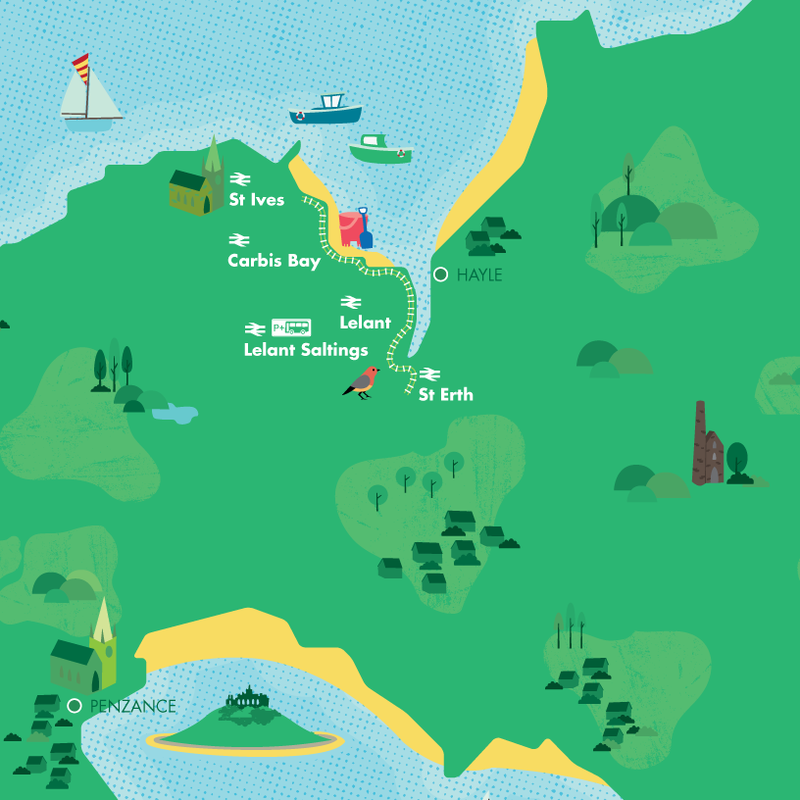 Set in breathtaking scenery, St Ives is one of the most picturesque towns in Cornwall. With a stunning award winning blue flag beach, safe swimming for families and coastal walks nearby, Carbis Bay is well worth a visit.